The recent gubernatorial election in Georgia was a big one for the whole nation, with Republican Brian Kemp overtly and unapologetically manipulating the entire election system to disenfranchise or grossly inconvenience black voters, all so he could steal a fair election away from Democratic candidate Stacey Abrams (who still almost beat him, which should give an indication of screwed Kemp and the Republicans would’ve been if they hadn’t resorted to cheating). Abrams conceded the election a few days ago, but has promised to file a federal lawsuit over the “gross mismanagement of Georgia’s election system.” Before that, though, Veep executive producer Frank Rich suggested that Hollywood should “put its money where its mouth is and pull all production out of [Georgia]” if Kemp were to win. 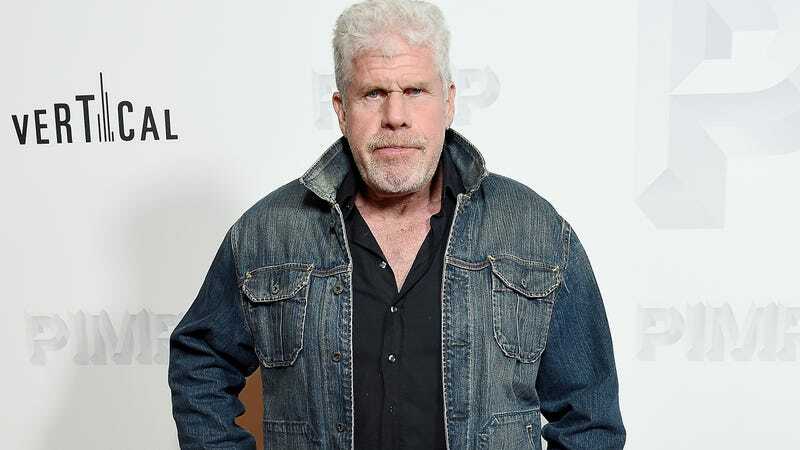 Now that he has won (with some significant asterisks next to “won”), Ron Perlman, Alyssa Milano, and Bradley Whitford have decided to follow Rich’s lead by announcing on social media that they’re happy to join his Georgia boycott. A ridiculous number of movies and TV shows are filmed in Georgia, as indicated by the little “Georgia!” jingle and peach logo you get in lot of end credits, so a boycott of film and TV productions in the state would be a huge deal—though it remains to be seen how much of an impact these people will have. Meanwhile, Stacey Abrams has told Rich that she doesn’t think a boycott is a good idea, since it also means taking jobs away from the various Georgia citizens who make a living by working on The Walking Dead or whatever.